Product code: 20785 Category: Jackets. 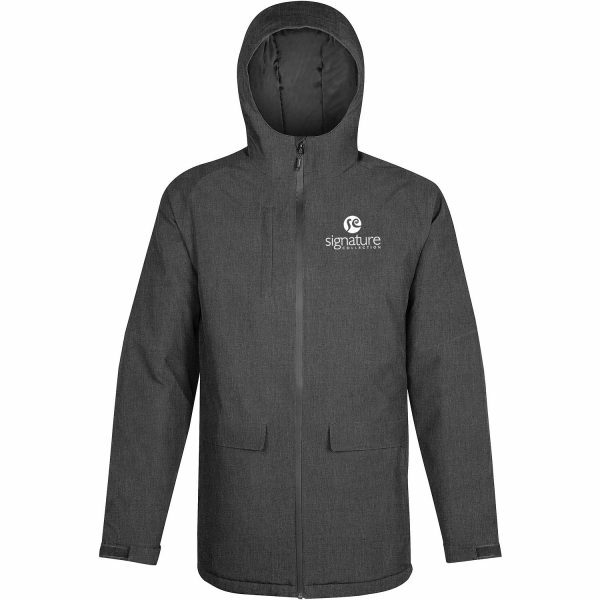 Designed to keep you warm and dry in cold climates, this parka features Stormtech H2X® waterproof/breathable technology, thermal fill, and a center front waterproof zipper! 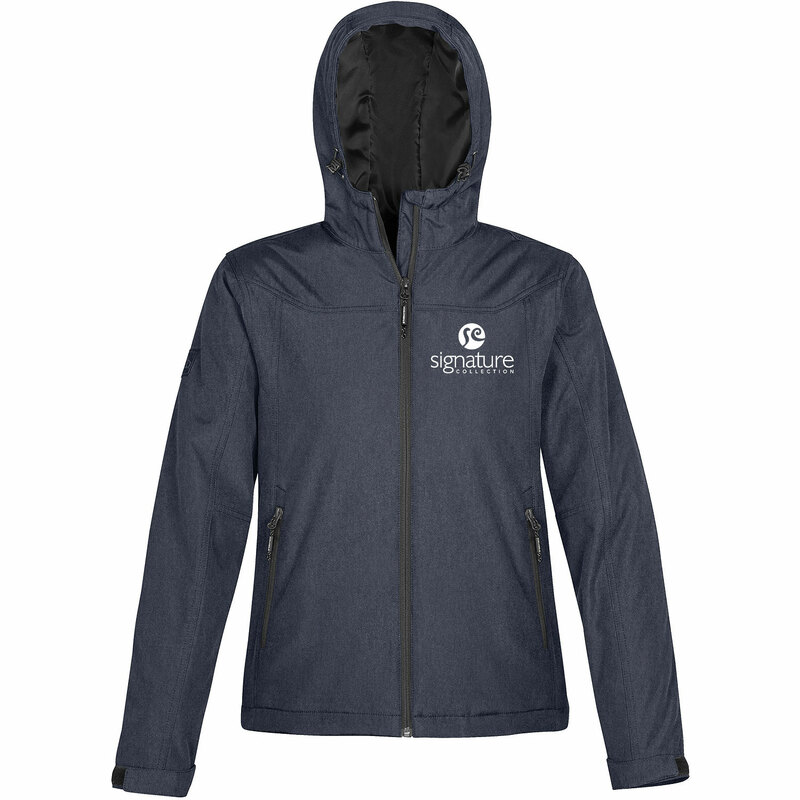 The 4.87 oz style is made from 100% polyester with membrane and designed with an attached hood to enhance weather protection while the raglan sleeves, articulated action elbows, and adjustable cuffs provide ultimate comfort and mobility. Setup Charges :Embroidery tape (digitizing) is extraPricing includes embroidery (up to 8,000 stitches) on one location* May vary according to product availability from supplier. ** Price subject to change without notice. Black is available up to size 5XL. Click here to view the companion style. 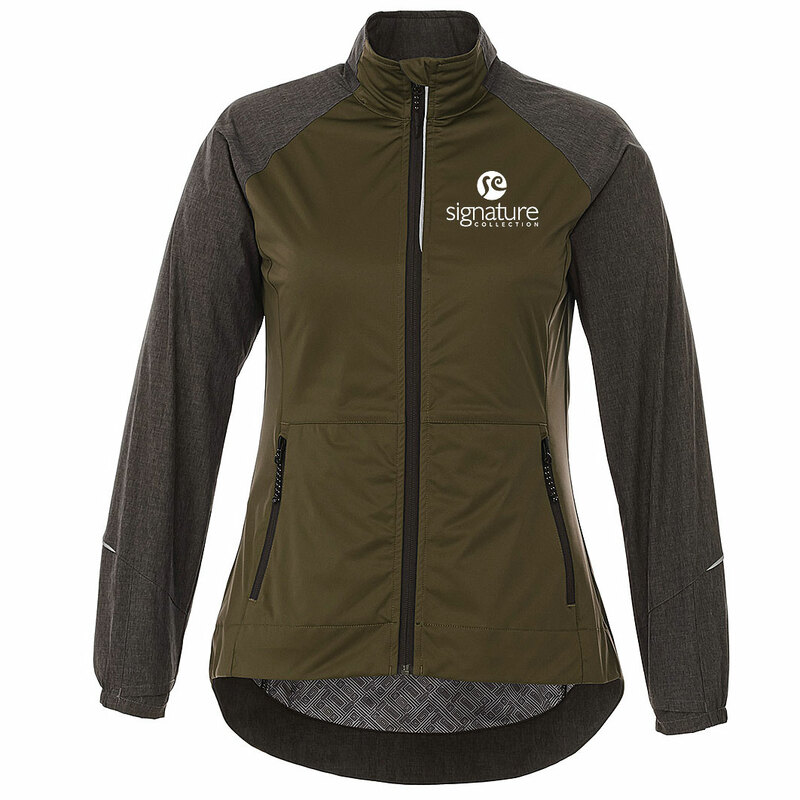 This high-performance, two-tone sport softshell features H2XTREME® technology to provide 8,000/3,000 waterproof/breathable protection! The 7.96 oz style is made from 100% polyester knit jersey bonded with 100% polyester birdseye mesh to maximize comfort and mobility. Features set-in sleeves, elasticized cuffs, adjustable hem, zippered pockets, and reflective tape on cuffs. This ultra lightweight athletic shell combines showerproof D/W/R coated fabric for long lasting protection against the elements with a full mesh lining for maximum breathability. The bold colour blocking provides a modern, clean look to this 100% polyester dobby shell. Features a center front zipper, raglan sleeves, velcro adjustable cuffs, adjustable hem, and zippered pockets. 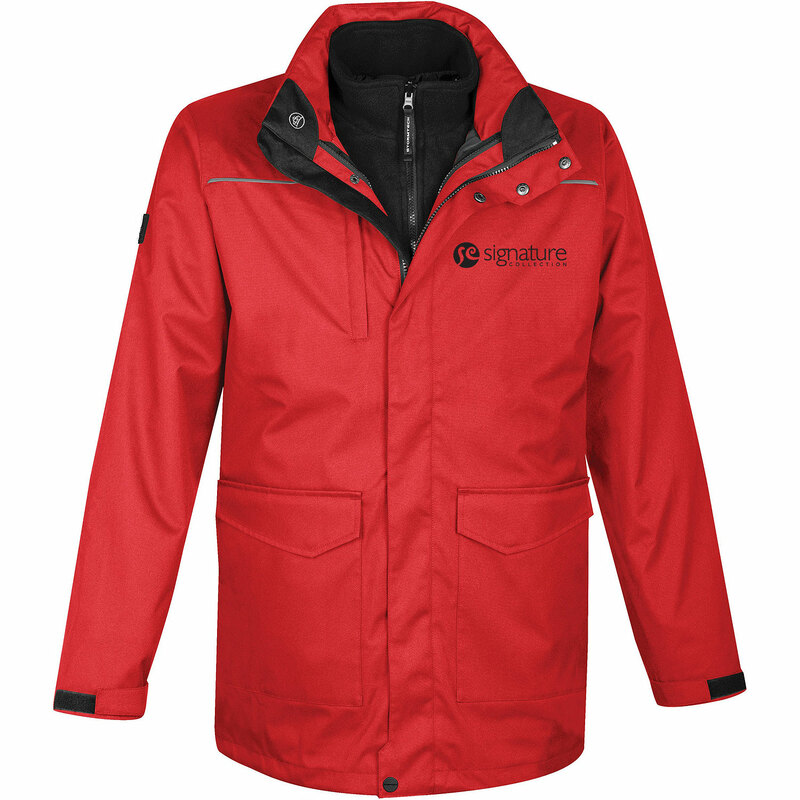 This all season system jacket has a zip out fleece liner and a durable water-resistant exterior shell constructed with a parka length for extra coverage and protection! Keep protected from the elements with features including a stowable hood, external full-length stormflap with snap closures, adjustable hem, and velcro adjustable cuffs. 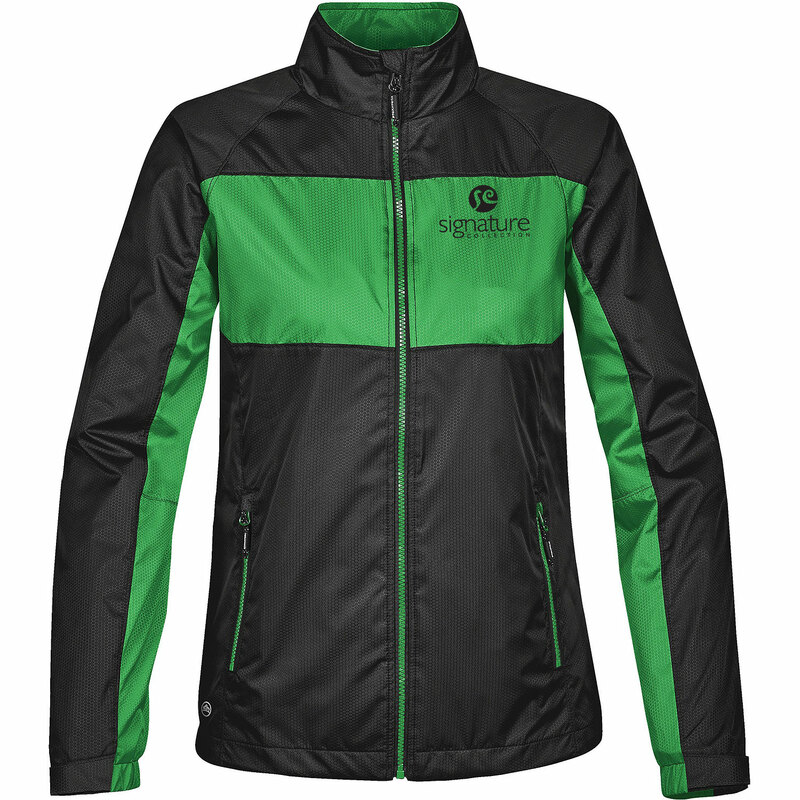 Designed for convenience this jacket has black reflective trim, zippered chest pocket, set-in sleeves, cargo pockets, and internal zippered security pocket. 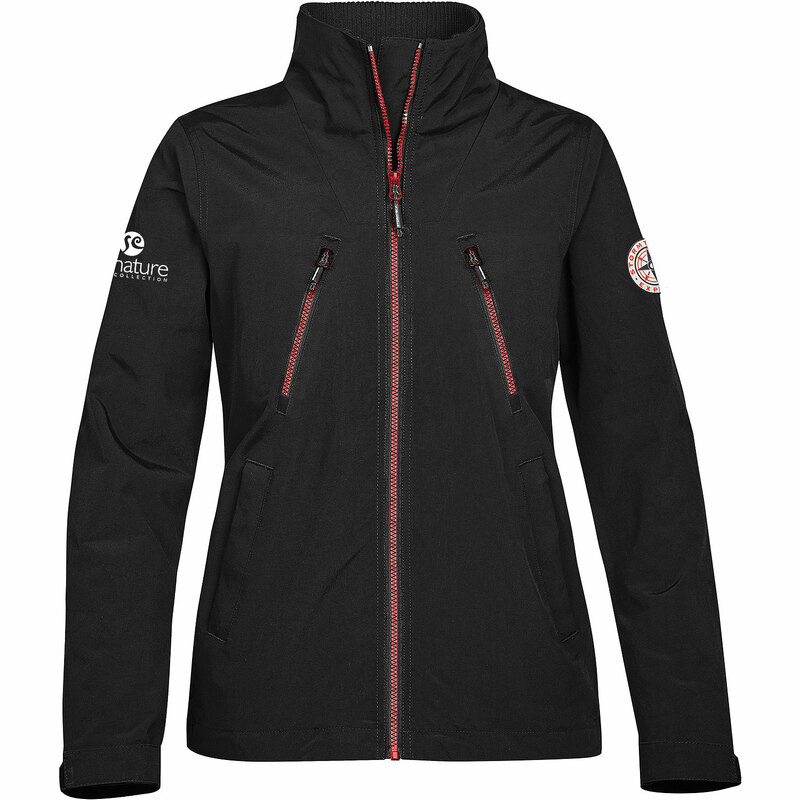 This stylish silhouette with tonal double needle topstitching and velcro adjustable cuff tabs add premium design detailing to this two-layer bonded softshell! 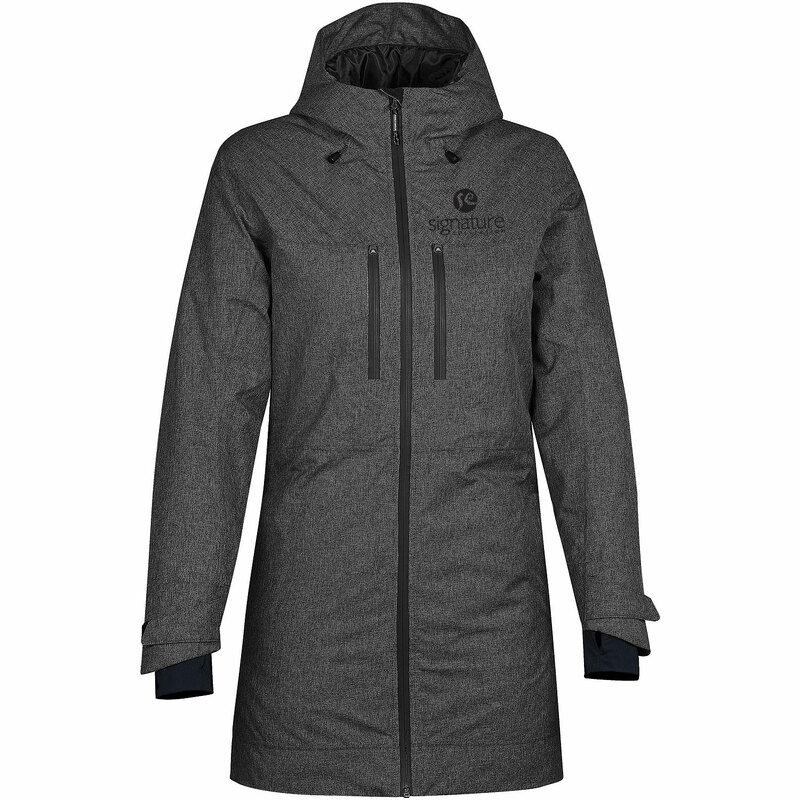 The showerproof D/W/R outer shell is engineered to keep you warm and dry despite changes in the weather. Made from 100% polyester bonded with 100% polyester interlock, this 7.37 shell features a center front zipper, set-in sleeves, adjustable hem, chin saver, and zippered pockets. 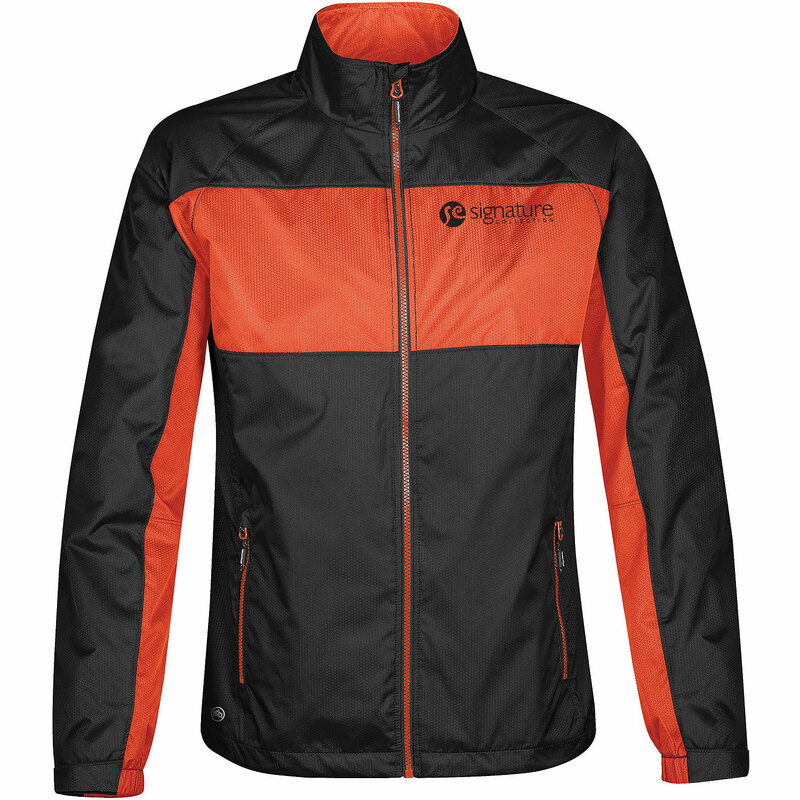 There's a lot to love about the Mikumi hybrid three-layer hybrid softshell jacket. Along with its trendy retail look, it has unique features of reflective piping, thumb exits in the sleeves and a media exit port with cord guide. Offering lightweight comfort for the transitions between seasons, the Mikumi is waterproof and breathable with elasticized cuffs and an elastic drawcord at the hem. Outershell is made from 100% polyester jersey knit bonded to 100% polyester graphic pattern knit. Contrast is made from 60% nylon/40% polyester textured woven with waterproof, breathable coating and water-repellant finish. 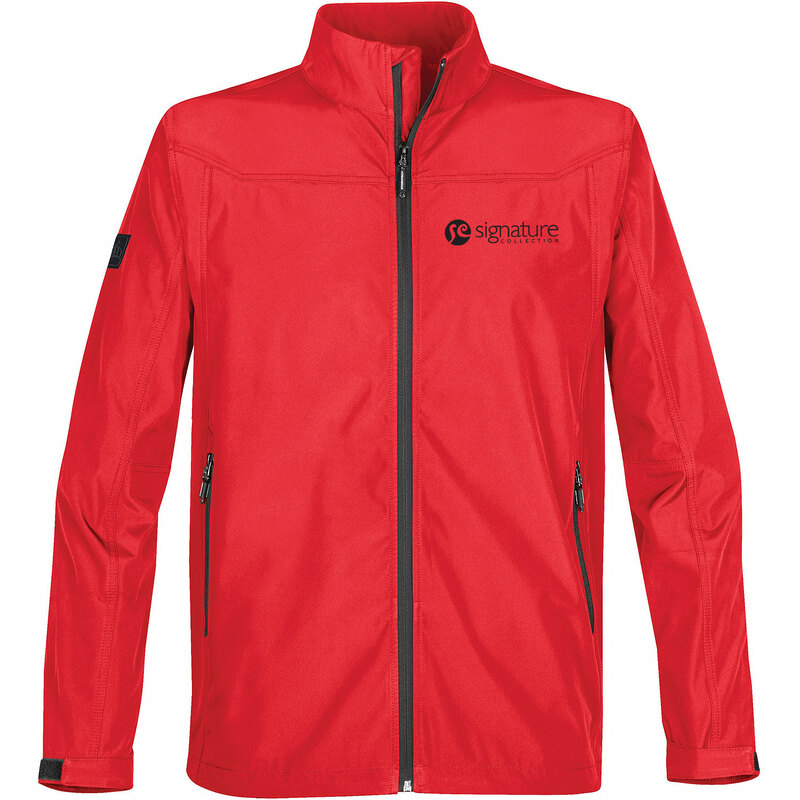 Engineered to keep you warm and dry in cold and wet weather! This D/W/R coated thermal shell has high density thermal fill that provides a high efficient barrier in cold temperatures. 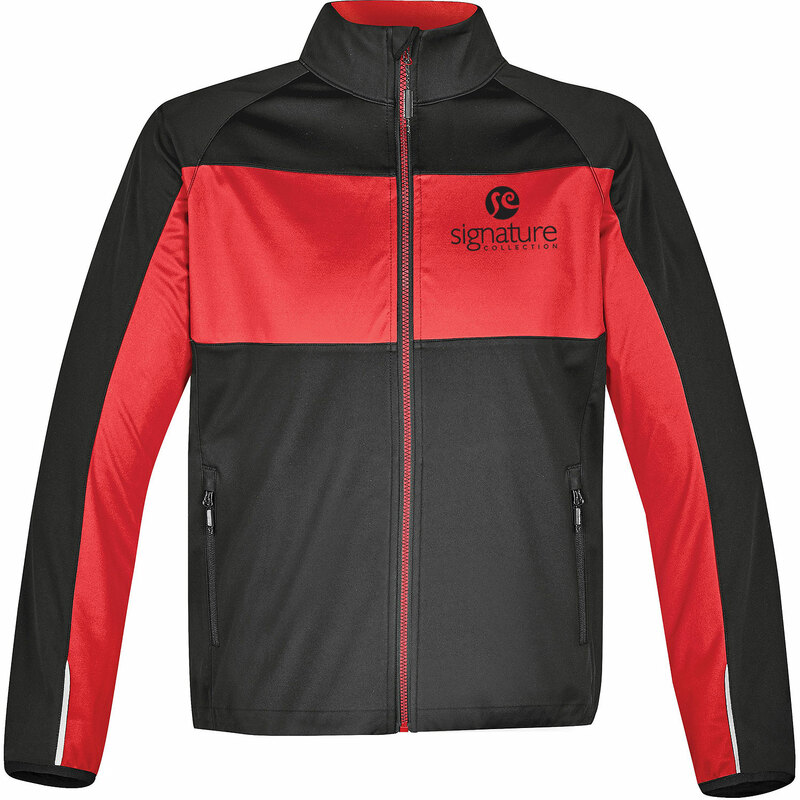 Made from 100% polyester bonded with 100% polyester interlock, this 7.37 oz jacket features set-in sleeves, velcro adjustable cuffs, attached hood, adjustable hem, chin saver, internal security pocket, and zippered pockets. This highly technical, thermal park has H2XTREME® technology combined with sealed seams provide long lasting weather protection. Made from 100% polyester, the 5.9 ounce piece includes tricot pockets, waterproof zippers, and a heat reflective mesh lining for added warmth. The 5,000/5,000 waterproof/breathable outer shell will help you cozy in less than ideal weather. Features velcro adjustable cuffs, attached hood, thumbholes, set-in sleeves, dropped back, chin saver, brushed tricot neck warmer, front zipper pockets with garages, and a mesh goggle pocket. 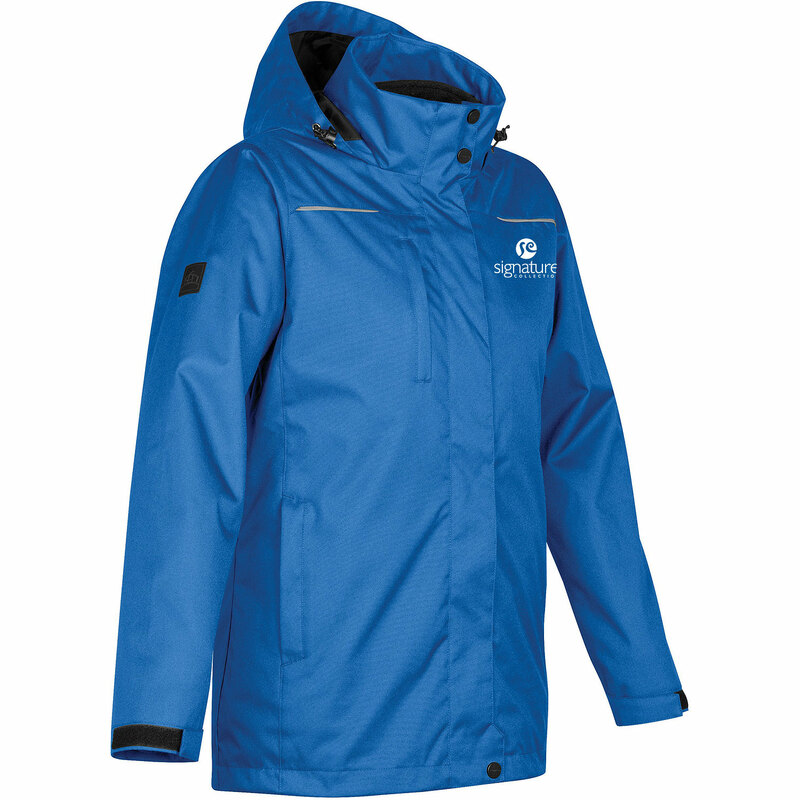 The durable 100% nylon outer shell delivers effective weatherproof, water-resistant protection when you need it most. Designed with a 100% polyester mesh lining, internal stormflap to lock out cold drafts, and a high rib-knit collar and sleeve for extra warmth and comfort. Features set-in sleeves, angled zippered chest pockets, front zippered pockets, adjustable hem, and 2x2 rib collar.